In 1984 BS1363 was amended with a requirement that the line and neutral pins should have an insulation sleeve. 30 plus years later, equipment fitted with non-sleeved plugs is still found in use. What should you do if you find an non-sleeved plug during a PAT inspection? If you decide not to replace a non-sleeved plug during the PAT testing, it’s worth bearing in mind that it will be at least 30 years old. There’s a good chance that it will have suffered some damage in it’s lifetime. Thoroughly inspect it to make sure there are no cracks, damage, loose or bent pins etc. If in any doubt, replace it. 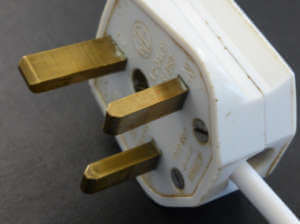 Non-sleeved plugs must be replaced on equipment that is hired out, second-hand equipment offered for sale, or appliances that are included in rental accommodation. This equipment is covered by the Plug & Sockets etc. (Safety) Regulations 1994. These regulations apply to all electrical equipment supplied during the course of a business. We should also mention earth-sleeved plugs! This shouldn't be confused with the plastic ISOD (Insulated Shutter Opening Device) found on some Class 2 appliances. This counterfeit plug is connected to a three core Class 1 cord set. The sleeve prevents the earth pin making contact in the socket; as such the appliance will not be earthed. 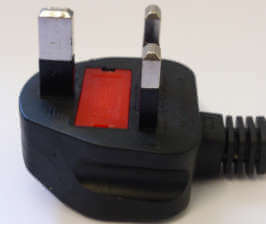 These types of plugs are regularly found during PAT inspections and are still widely sold on sites like Ebay. I recommend anyone carrying out PAT testing takes a look at this site: www.bs1363.org.uk. It has some excellent information on counterfeit plugs.